John Gierach is an American author and freelance writer living and working in Larimer County, Colorado. He has to date written over 20 books on fly-fishing, and is a regular contributor to Field & Stream, as well as having a monthly column in the NY Times. Watch that video above and chew on it for a bit. This is a great life we live. If you’re not familiar with Louis Reith and you’d like to see more (which I’m sure you probably do), visit Reith’s homepage, Flickr account, and Little Paper Planes page. And when you’re done ooohin and ahhin, check out the Dutch artist’s Camp Out Zine. Thank you to Rocky for alerting us of the new section of the Continental Divide Trail, important to the few of us that thru hike it each year. The trail has long threaded through the west side of Rocky Mountain National Park, following a big old concrete road for some of the way. After months of work, the NPS has now dedicated a new 1-mile section of the CDT called the Bowen Connector, which pulls off the trail away from the road as it connects RoMo with Arapaho National Forest north of Grand Lake. Read more about it at The Coloradoan. Fred apologized for not having a phone, after I asked where I would have to go make a call, later on. He said, “I don’t have no phone because I don’t have no electric. If I had electric, I would have had a phone in here a long time ago.” He uses a kerosene lamp, a propane lamp, and two flashlights. From Ashes to Forest is a feature length film archived on the goldmine that is the National Film Board of Canada. 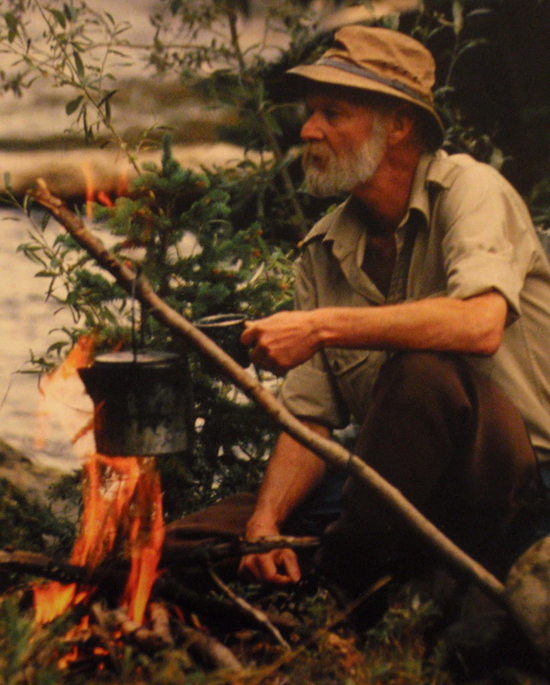 Shot in Banff and Wood Buffalo National Parks, this film released in 1984 surfaces the need for fire to promote the renewal and health of the forest. 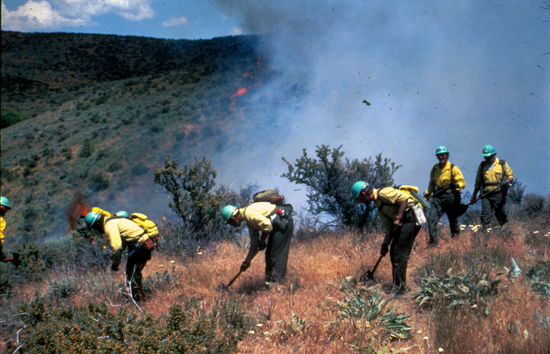 Also called into question are the risks involved with the Smokey Bear campaign and brand of fire management. Mostly, the film is beautiful, the soundtrack is majorly feel-good era specific, and it’s educational as can. Maybe you’ll learn a thing or two. If anyone knows more about OREGON RAINBOW, the magazine/art project whose Summer 1976 issue I found while out west last week, please speak up. I can’t find too much on the world wide web about this beauty, and that’s a goddamn dirty rotten shame. This thing is filled with poetry, photos, history and more, all of which celebrate the handsome Pacific Northwest. More pics after the jump.. I got home last night from a week long jaunt out to Portland, OR and Las Vegas, NV, and this morning, while going through all the missed mail, I came across this beautiful postcard. Mark, a friend who I’ve written about several times on this rag, and his equally adventurous wife, Elisa, have, as you can see, moved to the ocean. I’ll be up there real soon. Hope everyone is having a good week. If you’re out in Portland tonight and love the smell of new leather, come on down to 1308 W. Burnside. Danner and Tanner Goods made a beautiful boot together, The Mountain Light Lownsdale, and we’re all going to celebrate. See you there?